The concept to "Eat Right For Your Type" - or the "Blood Type Diet" - is based on research conducted by Peter D'Adamo, ND, who claims that people fare better (including with weight management), when tailoring their diet to their specific blood types. He proposes that lectins cause agglutination (clotting) of blood cells in someone with the wrong blood type, which in turn may create serious liver or kidney problems as visible under a microscope. He further theorizes that elevated urine indican levels - prevalent in many gastrointestinal diseases such as celiac disease, diverticulitis, pancreatic insufficiency, inflammatory bowel diseases and others - can also be attributed to specific blood types affecting the interactions of foods with intestinal bacteria, and creating polyamine abnormalities. Should basically stick to fruits and vegetables (high carbs / low fat). They have thicker blood than other blood types, a sensitive immune system, and should not consume dairy products, animal fats, meats, and some grains. They are at a heightened risk for cardiovascular disease, diabetes and cancer. Should consume a balanced diet (fruits and vegetables, grains, fish, dairy, meat, but avoid chicken). They have the best chance of bypassing or overcoming everyday types of diseases, including heart disease and cancer. Should consume a mostly vegetarian diet, and only on rare occasions some fish, meat (no chicken), and dairy. Should basically stick to a high protein diet (including red meat), low carbs, and enriched with fruits and vegetables. They should limit the intake of wheat germ, whole wheat products, corn, and avoid dairy products and most nuts. Type O types are commonly affected with hypothyroidism, high stomach acid (leading to ulcers), and thinner blood with greater resistance to blood clotting. Peter D'Adamo's theories have not been accepted by the scientific community at this time. How do different Blood Types relate to various medical conditions? Blood Type A individuals being more prone for blood clotting / heart attacks, pernicious anemia, gastric cancer, and showing greater susceptibility to the smallpox virus. Blood Type B individuals having a higher incidence of thyroid, biliary and esophageal cancer, stroke (females, but not males), and a greater susceptibility to tuberculosis, especially those of Asian descent. Blood Type A, B and AB individuals having a higher risk of developing pancreatic cancer, and ischemic stroke (males and females). Blood Type O individuals having a somewhat higher risk / incidence of peptic, or duodenal ulcers, lower fertility (females), greater susceptibility to infectious diseases such as scarlet fever (with Blood Type B), cholera, typhoid, or having died from the bubonic plague. Blood-sucking insects (that carry diseases) prefer Blood Type O. A 2009 Boston study confirmed findings from several decades earlier suggesting a blood type / malignancy risk association, whereby the chances of developing pancreatic cancer for instance were 32% higher for those with Blood Type A, 51% greater for Blood Type AB, and 72% higher for Blood Type B. Another study proposes a greater risk for being diabetic due to impaired glucose metabolism with blood group Types A and O, and developing diabetes from dietary reasons (high meat and fat intake) with Blood Type B. Unfortunately, this does not help or affect everyday clinical applications, or patient / treatment protocols. For instance, gastric complaints - from ulcers to gastric cancers - prevail in Blood Groups A and O, which represent more than 80% of the global population. If one includes esophageal cancer (Blood Type B), then it covers from 90 to 99% of the world population. Not only would it be impractical or pointless to suggest dietary changes for preventive or therapeutic purposes, but what should the recommendations be? Since there is such a large variety of possible causes for gastric disorders, including about two dozen strains of bacteria implicated with stomach ulcers alone, there are no universal therapeutic or dietary solutions that are practical, cost effective, and can be safely applied to such a large percentage of the population. The same circumstances apply when trying to formulate diets around blood types for any other medical disorders, as not one single disease is exclusive to one particular blood type! Ever since first reviewing the "Eat-Right-for-your-Type" proposition and recommended food list, Dr. Ronald Roth was as curious and intrigued as many other medical researchers and practitioners to clinically apply those theories by comparing patients' blood types to their medical disorders or nutritional imbalances - looking for a trend or pattern. It quickly became apparent however that patients suffering from high blood pressure, high blood sugar, or high stomach acid, shared the same blood groups with those patients exhibiting low blood pressure, low blood sugar, or low stomach acid. As expected, the same applied to patients with a lifelong tendency for weight gain, weight loss, nearsightedness, farsightedness..., as well as other "hyper" vs "hypo" conditions, so at this time, the inclusion of blood types doesn't serve as a helpful screening method. Since the "Eat-Right-4-your-Type" concept mainly focuses on dietary lifestyles being matched to blood groups, it would stand to reason that blood types should match the chemical and nutritional requirements or profile of an individual - sort of like the Metabolic Typing of patients - where diets are adjusted according to someone's biochemical or genetic make-up. Unfortunately, there is no practical or clinical match whatsoever! Nutritional excesses or deficiencies can exist with all patients, without being unique to specific blood groups. Some people claim that since following the "Eat-Right-for-your-Type" recommendations, they had lost weight, or felt otherwise better, however when reviewing any specific changes made, they invariably consisted of lifestyle changes that are universally considered to be beneficial - regardless of someone's blood type - such as eating more fresh, unprocessed, and healthier foods, while cutting out junk food, and/or eliminating foods which either cause, or have an unfavorable impact on specific medical problems one is suffering from. Avoiding food sources that someone has an intolerance or allergy to will certainly have a positive impact on someone's health, but the need to do so has either a genetic basis involving a compromised immune system, or it develops as a result of an abnormal gut flora, which can happen with all blood types, not just certain blood groups as claimed by "Eat-Right-for-your-Blood Type" proponents. The credibility of linking a dietary lifestyle to one's Blood Type is also being challenged by an ever-increasing number of individuals who applied the principles of the Blood Type Diet since its inauguration. After changing to a more vegetarian or meat-based lifestyle, or after adjusting to specific foods based on Blood Type Diet recommendations, they subsequently had to revert back to their previous dietary lifestyle again following a decline in their well-being, the tolerance of the new diet, or the poorer management of their medical issues. Even a broken clock will show the right time twice a day, so there will always be individuals who by chance experience an improvement in their well-being by switching to an "Eat-Right-for-your-Type" dietary lifestyle. "Blood Type O is commonly affected with hypothyroidism, high stomach acid [leading to ulcers], and thinner blood." When considering the proposed link between "Blood Type O" and "higher stomach acid levels" -- it would certainly help if the people who come up with these novel ideas took the time and actually measured stomach acid levels of individuals with each blood group so they could speak from experience instead of simply making things up while writing a book. Not only are high and low stomach acid levels found with every blood type, but low levels commonly outnumber high levels, with Blood Type O being no exception. Most ulcers are not caused by high stomach acid levels, but the destruction of the protective mucous lining of the stomach through various substances or bacteria. For instance, a Helicobacter Pylori infection actually reduces stomach acid levels -- however this does not prevent it from being a leading cause of ulcers! In fact, to improve symptoms when antibiotic therapy or other treatments have failed to eradicate H. Pylori, it is necessary to raise stomach acid levels, provided this is done before the protective mucous lining of the stomach is damaged by the bacteria, and an ulcer has developed (see also "H. Pylori and low Stomach acid"). Whether developing from dietary, genetic, or other causes, the same medical conditions appear and disappear across all blood groups, but they would have to dominate specific blood types over a lifetime according to the premises of the Blood Type Diet. Changes in nutritional requirements as a result of Aging also contradict a "Eat-Right-for-your-Blood Type / Dietary" link. For example, a blood group-specific lifestyle is supposed to be maintained throughout a person's life, but a lot of changes take place post menopause and andropause. Along with diminishing hormone levels, one's potassium, zinc, and stomach acid levels commonly decline as well, while phosphorus and sodium levels tend to increase - independent of dietary intake, or blood type! These chemical changes may result in elevated blood sugar, high blood pressure, water retention, and/or weight gain, and despite having Blood Type O, may require a reduced intake of meat and other phosphate or high iron sources, but necessitate a greater intake of dietary or supplemental potassium and zinc. One could consider another Type O individual who has been enjoying and tolerating a high protein / red meat diet, and then consumes an E. coli-contaminated hamburger, ending up with kidney damage. Obviously, his blood type is still Type O, but unless he starts to follow "Blood Type A" dietary recommendations now (a low purine diet and more oxalate-free vegetables), he may soon encounter his first gout attack, or worse, he could be soon on dialysis. In a "Blood Type O" female, who was previously hypothyroid (supposedly being prevalent with Type O), the menopause-related hormonal changes now trigger hyperthyroidism as a result of naturally declining estrogen and manganese levels. To continue thyroid-raising strategies as per "Blood Type Diet / Eat right 4 your Type" guidelines in this and other countless examples, instead of following proper medical procedure, could have disastrous consequences. Blood Types don't change, so recommended Diets according to the "Eat right for your Type / Blood Type Diet" concept remain fixed and don't change either, however many medical conditions change over a lifetime, and as a result require a change in Medications and Diet. The question of whether someone is better off following a mostly vegetarian, rather than a mixed, or more meat-based diet, should also be based on an individual's biochemical make-up or organ functions - which are ultimately affected by any such diet - rather than on recipes based on blood types, where "Blood Type A" is supposed to avoid animal products (see also "Vegetarianism"). There is nothing worse than seeing a protein-starved, iron-deficient, and anemic patient who was made to believe that following a food list or fad diet outlined in a book would resolve all of one's medical complaints. 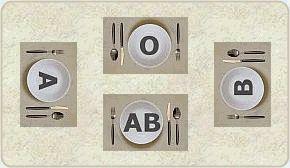 Does the Eat Right for your Blood Type Diet really work, or is it just another Fad? Conventional medical wisdom dictates that dietary lifestyles should be based on evidence-based, medical, and individual nutritional requirements, while Blood Type Diet proponents recommend diets that are tailored around blood types. Their concept would make perfect sense if all individuals with the same blood groups suffered all from the same medical disorders, had all the same nutritional needs, and they all needed the same medications, but that is obviously not the case. Only the reduced resistance to some diseases can be at times attributed to a particular blood group, but most medical conditions have a genetic basis, which can be equally affected by pathogens, toxic exposure, trauma, medications, and many other factors. Unfortunately, this pretty well invalidates Peter D'Adamo's "Eat-Right-for-your-Type" proposition if at birth, his Blood Type Diet hypothesis had indeed been valid.